Several museums stand testimony to Nuremberg’s rich heritage, culture, and art. The city has gone strength to strength in its advancement in science and technology. Nuremberg has lovingly restored and preserved its stunning medieval structures, many of which were heavily damaged during WWII. Moreover, it hosts one of the most charming Christmas markets in Germany. 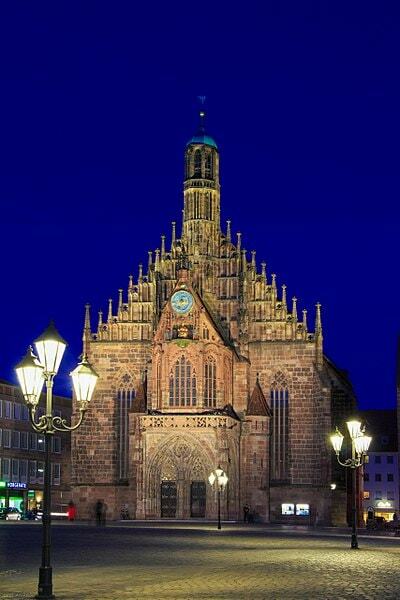 Here is our list of the landmarks you must visit in Nuremberg to get a feel for this intriguing city. 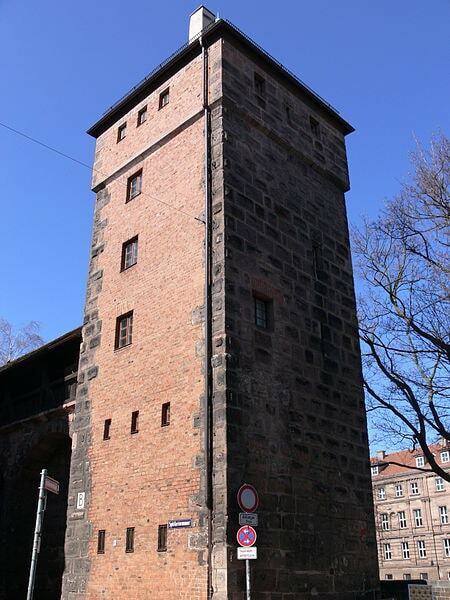 The 35- meter high tower of the Nuremberg Castle rules the city skyscape. The castle has served as a royal residence for nearly a millenium, since 1050, and stands proud as one of the oldest surviving medieval castles on the continent. A guided tour rewards visitors with great views from the tower and the chance to walk the ancient passages, stables, rooms, and chapel. Not all history is glorious, but all history needs to be acknowledged and remembered. The Documentation Center –Nazi Party Rally Grounds walks visitors through the darkest period in the country’s history – the Nazi regime and the Holocaust. The exhibit titled Fascination and Terror is probably the most hard-hitting. Visitors are bound to emerge after the tour with a deeper understanding of Nazism and the role of Nuremberg in WWII. 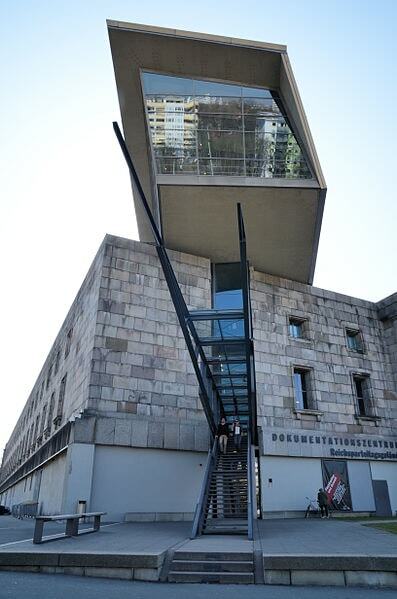 The Germanisches Nationalmuseum houses an unrivaled 1.2 million items relevant to German art and culture. Expect to spend several hours perusing a vast assortment of historical documents, seals, parchments, musical instruments, paintings, artifacts, photos, and more. 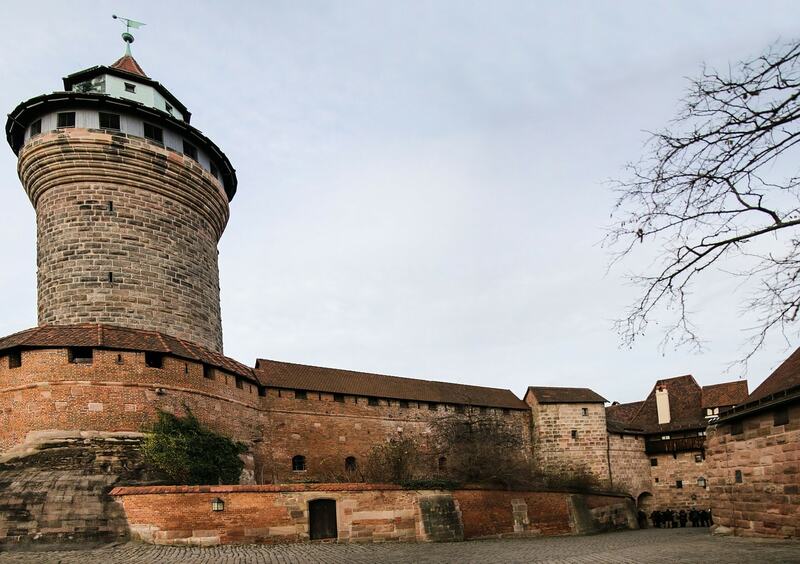 A stroll along the Nuremberg walls is like a walk through history. Many of the town’s walls date back to the 14th and 15th centuries, while some were built later, and all of them have been impeccably maintained. The walls are punctuated by several gates and towers. From the Fürther Tor, you can get a great view of the city walls along with the castle, adding up to a perfect photo opportunity. Legendary German Renaissance artist Albrecht Dürer resided in this house from 1509 till he breathed his last in 1528. His house is now a museum that lovingly preserves his life’s work. Walk in to see copies of some of his most notable work, especially his famous maps. Between November 20, 1945 and October 1, 1946, in Nuremberg’s Palace of Justice, leaders of the Nazi regime were put on trial for their war crimes. These trials were not only immensely significant back then, but also prompted the rewriting of criminal laws, the effects of which are relevant even today. On the top floor of this building, the Nuremberg Trials Memorial (Memorium Nürnberger Prozesse) is housed, which documents the importance of the Nuremberg trials. Zum Guldenen Stern is one of the rare restaurants in the world that have earned the status of a must-visit tourist attraction. They have been delighting patrons with their sausages since 1419, and their popularity has only increased over the centuries. Dig into an authentic German meal of sauerkraut and bratwurst at this historic restaurant to add the perfect icing to your Nuremberg stopover. 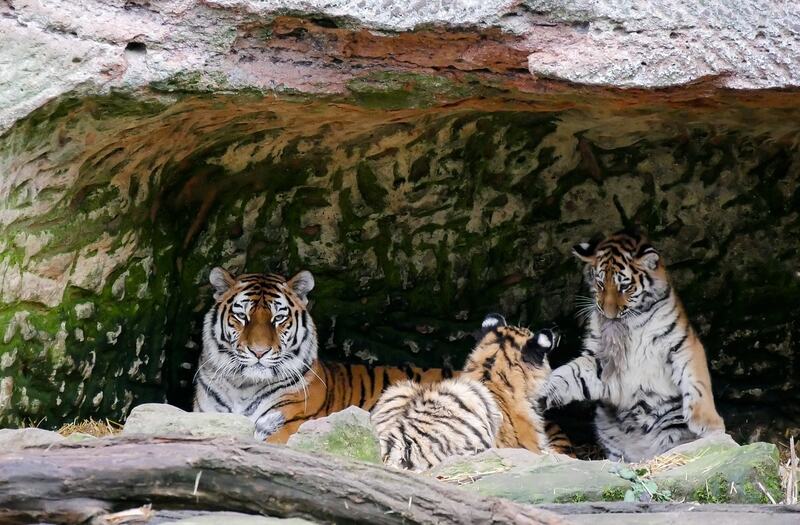 Nuremberg Zoo is one of the oldest and among the best zoos in all of Germany and a favorite option for family day outs. This sprawling ground is home to over 2,000 animals, birds, and reptiles across a vast number of species. The dolphinarium is among the most popular sections of the zoo. The Nuremberg Transport Museum (Verkehrsmuseum Nürnberg) is one of the best attractions in the city for adults and children alike, especially for train enthusiasts. 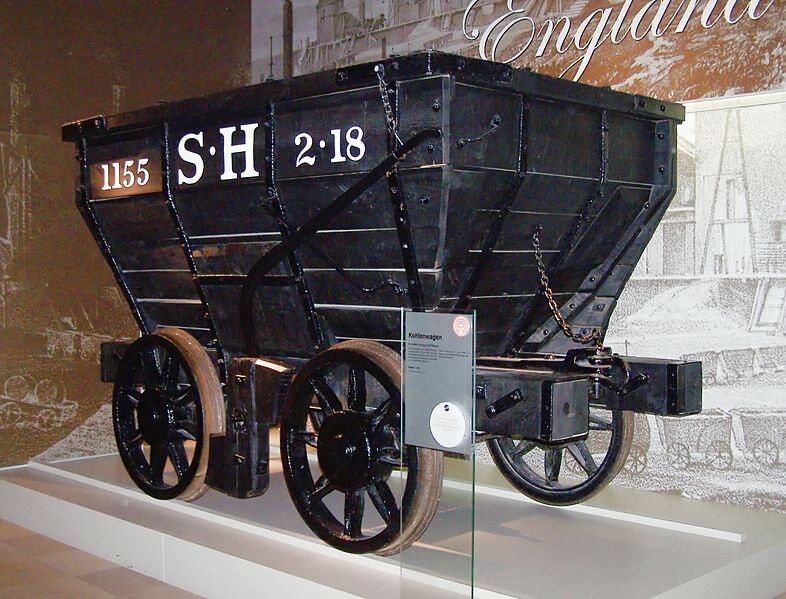 The museum houses scale models of trains and other modes of transport, the most popular being a replica of Germany’s first train. A fun ride on a tiny train invariably draws giggles from visitors. 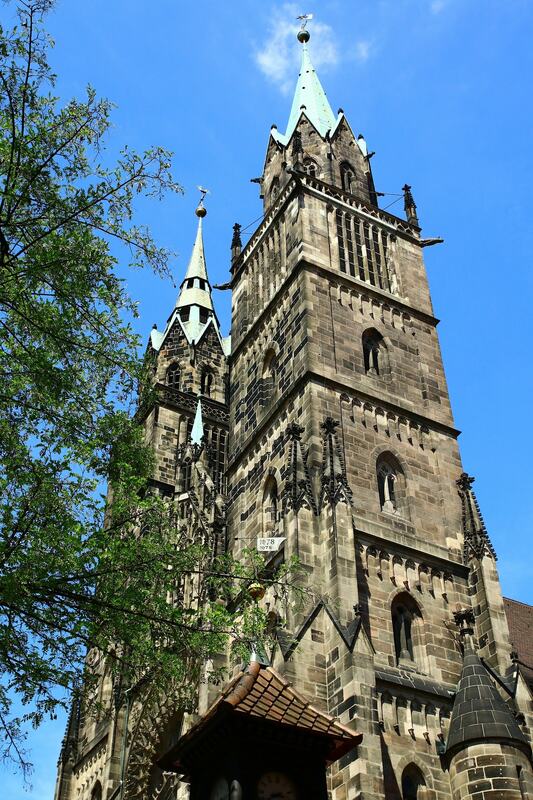 St. Lawrence (St. Lorenz) Church is the largest and best-known church in Nuremberg. Other than its beautiful twin-towered Gothic, the 14th-century church is known for its large rose window, stunning stained glass, and an admirable collection of art. St. Sebaldus is a Protestant church built in the 1200s. 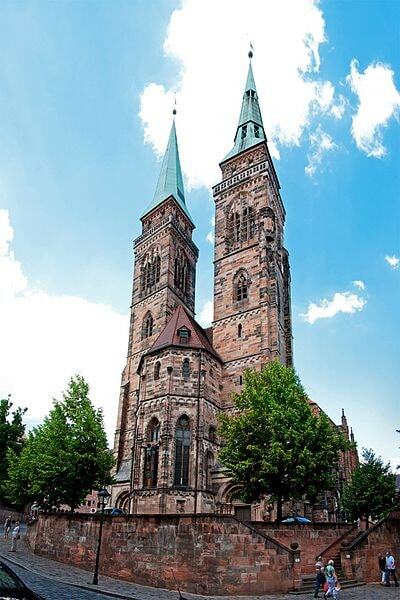 Visitors are attracted to this church for its masterpiece Gothic east choir, the bronze tomb of St. Sebaldus, a huge organ with 6,000 pipes, and the Madonna in an Aureole, all several centuries old. 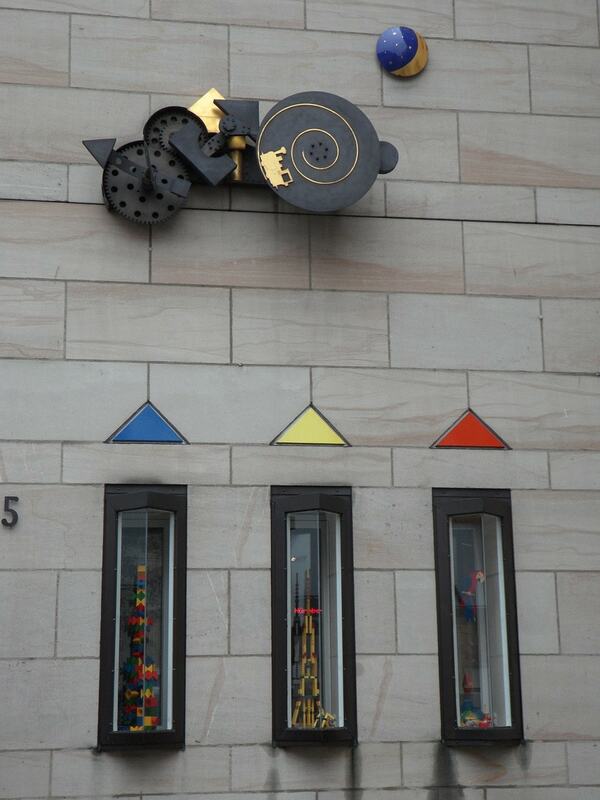 The Toy Museum (Spielzeugmuseum) holds special attraction for kids but invariably delights adults as well. The museum displays toys and dolls from across the world and from various eras, starting from medieval times to modern days. A popular section is the huge collection of model trains by EP Lehmann, one of the most famous toy manufacturers int the country. For a generous dose of art and culture, head to the Neues Museum. 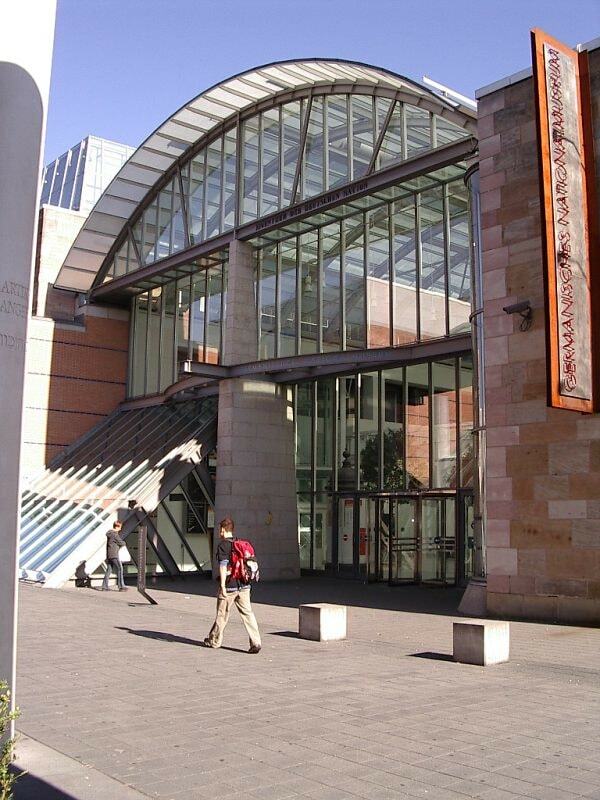 It houses a great collection of modern art from the 1950s to the current times. You are guaranteed to spend a few busy hours browsing the paintings, photos, artwork, sculptures, videos, photos, and installations. The Museum of Communication, located in the same campus as the Transport Museum, depicts the various modes of human communication – sounds, images, writing, and the Internet – through 400 interesting objects including the first German telephone and mail delivery carts. Through interactive installations and a hands-on approach, the museum attempts to explain concepts such as learning a language, projection of images on TV, and lots more. Turm der Sinne (Tour of the Senses) is a science museum geared towards the curious minds of children and adolescents. It explains the concept of human perception through interactive displays and a hands-on approach. The concept of the museum is truly one of a kind. If you are traveling with kids, Playmobil Fun Park a few miles outside Nuremberg is an absolute must-visit. This Playmobil-doll themed amusement park has fun rides, play areas, treasure hunts, climbing frames, go karts, and special shows. If your kids don’t seem to get enough of the park, you can plan on spending the night at the PLAYMOBIL-Hotel. 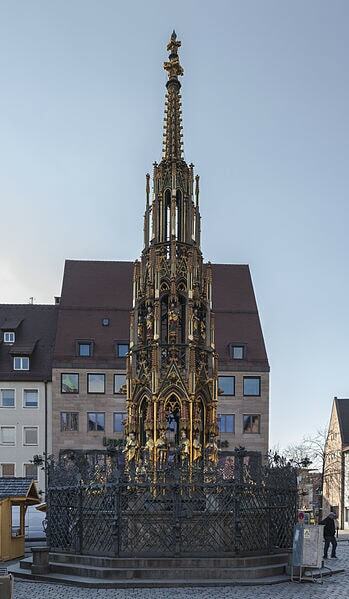 Schöner Brunnen is a beautifully restored fountain built in the 14th century that graces Nuremberg’s Hauptmarkt (main market). This attractive spire is built in Gothic style and is 19 meters high. Look closely at the 40 figurines that adorn the fountain. Each represents the Holy Roman Empire. Also, spin the brass rings on the fence for good luck. This fountain is so fascinatingly lurid and grotesque that you can’t tear your eyes off it. The sculptures, inspired by the writings of medieval poet Hans Sachs, depict six interpretations of marriage (from dating to fights till death). The Ehekarussell (Marriage-Merry-Go-Round) has been an object of criticism ever since it was unveiled in 1984. If you are interested in learning about German industrial history and culture, Museum of Industrial Culture is sure to fascinate you. Housed in a former screw factory, this museum displays objects pertaining to the history of industrialization, factory-building, technology, and more. If the walls of the Roman Catholic Frauenkirche (Church of Our Lady) could talk, they would tell you stories of wars, devastation, and prayers they have witnessed since 1352. Every day at noon, visitors assemble in front of the church to enjoy a performance by the mechanical figures of the Männleinlaufen, an old clock above the porch of the church. The interior of the church is as stunning as its exterior.